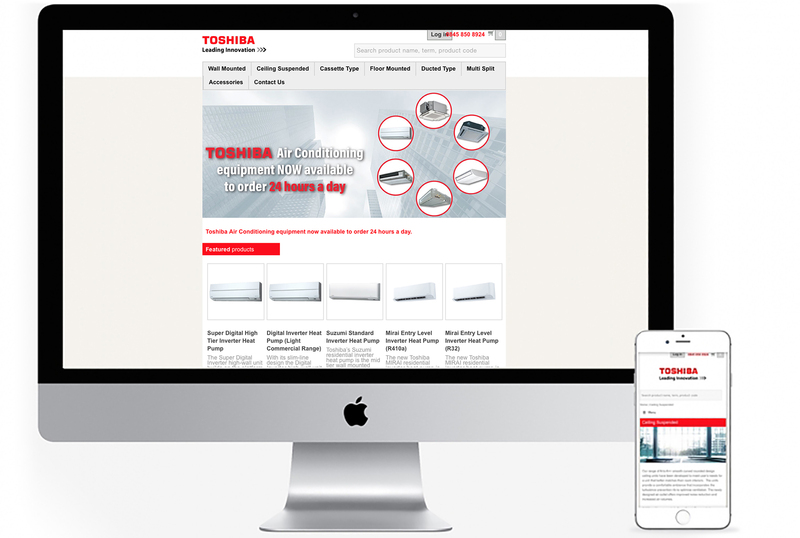 Toshiba Air Conditioning UK has launched a new website enabling installers and contracting companies to order equipment 24-7, with next day delivery direct to site, depending on when the order is placed. Toshiba Air Conditioning UK is a part of UTC Climate, Controls & Security, a unit of United Technologies Corp. (NYSE: UTX). Equipment available via the site includes Toshiba’s full range of split systems, such as the Mirai entry-level inverter systems, the Shorai residential range of high performance Digital Inverter (DI) and Super Digital Inverter (SDI) heat pumps, and the Daiseikai series for outstanding air quality and comfort. Depending on the range, indoor units are available via the online ordering system as cassettes, wall-mounted, ceiling-suspended, floor-mounted, and ducted units. It also includes a full range of air conditioning accessories, such as branch kits, headers. T-connectors, standard controls and Microtrol advanced controllers, and Bronz-Glow enhanced condenser protection. Toshiba’s award-winning refrigerant leak detection systems can also be ordered. As long as they are Refcom or similar approved, installers do not need an account to use the site; they simply select the units and accessories they need, confirm the order and make payment. Toshiba then arranges delivery anywhere in the UK, according to the customer’s requirements. Toshiba makes clear that air conditioning units ordered via the site contain refrigerants covered by the F-Gas Regulations, and that equipment must be installed by competent F-Gas certified personnel.